Last week (May 2017) I made the changes to start serving Geekzone over HTTPS (and this blog too). This included removing extra lines of code that dealt with HTTP to HTTPS redirection for some pages (the ones that were always served as HTTPS before the switchover) as well as setting HST header and other changes on the server side. 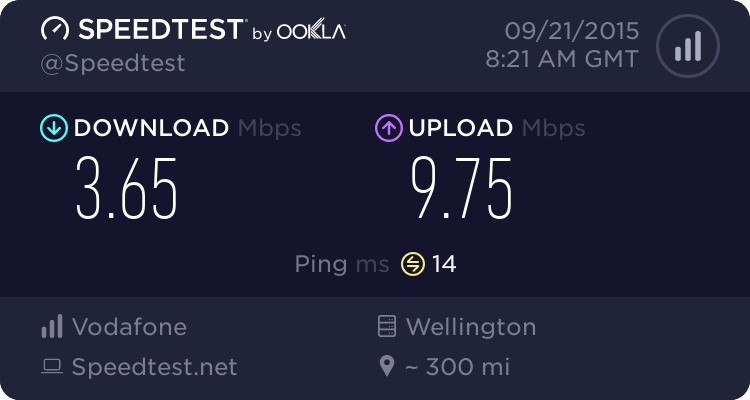 Last night I switched Geekzone (www.geekzone.co.nz) to full HTTPS support. And slowly traffic over SSL is going up (comparing last six hours overnight vs last month). Up until now we only used SSL for login, registration, private messages and profile pages plus assets (images, CSS and scripts). I started using SSL many years ago and wanted to have the site fully served over HTTPS for quite a while. Started by enforcing HTTPS on some content-sensitive pages and moving assets to HTTPS domains, including redirects to ensure clients used the correct schema. Last week I deployed an update for Geekzone mobile to make sure it worked on HTTPS and yesterday I did the same on the full desktop version of the site. Also included in this change is the addition of a "Secure" flag to cookies used on these domains. This ensures cookies only move between the client browser and server when there's a secure connection. If anyone requests http://www.geekzone.co.nz instead of https://www.geekzone.co.nz the server will instruct the browser to redirect to the correct location while the browser knows not to disclose the cookies until the secure connection is established. This is essential to avoid session hijacking (unless of course we talk MITM attacks, of course). Why have all this trouble for a forum? Because we have lots of industry (telcos mainly but other companies around too) people using the site. Account numbers, PIN and passwords are sometimes sent via our private message system (which has been served using the HTTPS schema for quite a while) so it makes sense to extend this to the whole site. In addition to this, for the last few months I have been using ThisData to collect, analyse and understand user behaviour around the site, in real-time, to quickly determine if an account could've been compromised. Up until now we were using it in "read mode" and tracking notifications. Last week I changed the webhook/API to actually start closing sessions and blocking IP addresses if a user confirms a breach occurred. ThisData receives millions of transactions reports (login, logout, forum post, message sent, message read, password change, new registration, avatar change, invalid password, etc) from us every month and uses machine learning to observe and assign a "risk" to each transaction. Based on this risk result our forum software can take different actions to protect our users - like the ones I described in the previous paragraph. I have also added a Geekzone ruleset to the HTTPS Everywhere project. This ensures that browsers using the HTTPS Everywhere add-ons will know to use the HTTPS schema instead of HTTP even if the source explicitly refer to the HTTP version (including references to any Geekzone resource served in non-Geekzone pages). This is important because Cloudflare also uses the same ruleset when doing the automatic HTTPS upgrade for some of their millions of clients around the Internet. We also use other platforms to prevent spammers and scammers joining the site. One or another can sometimes get past all this protection but our moderator team is pretty quick to act and our community is really good at reporting suspicious behaviour. There are lots more to be done, for sure. But it feels good when all this falls into place. Update 20 May: Added HSTS headers now, site listing update on HTTPSWatch NZ. Yes, these are real headlines. From a major newspaper. It is time for the annual report on browser usage around Geekzone. At the bottom of this post you will find links to previous years so you can compare these numbers with previous years. These charts are based on Google Analytics data collected during the 31 day period ending 31th March 2016. I realise part of our audience is more technically inclined, so our numbers are different from those presented by other more mainstream websites (such as Trade Me and news sites) but we have a huge number of non-tech visitors landing in our pages from search results seeking solutions for their problems. This data is for desktop visitors only. Overall Google Chrome continues to grow, going from 53% one year ago to 57% now. Both Internet Explorer and Firefox had a small decline in numbers, with the difference mainly going to the new Microsoft Edge browser. In terms of operating systems it pretty much remains unchanged from last year. I have posted a longer version of our 2Cheap Cars problems and troubles saga on Geekzone – we have a sub-forum for cars, bikes and other vehicles there. Enough to say we aren’t happy with 2Cheap Cars.